-SG- We go back a year for this next photo from the Bibliothèque nationale de France: this shows Vic Horsman - right - and Harold Petty on their Big Fours at the 1920 Paris-Nice event - a little matter of 950 km (just under 600 miles). Horsman was of course a supported Norton rider in the early twenties before moving to Triumphs and Harold Petty had a motor-cycle business in Leicester, which ran until the 1970s. 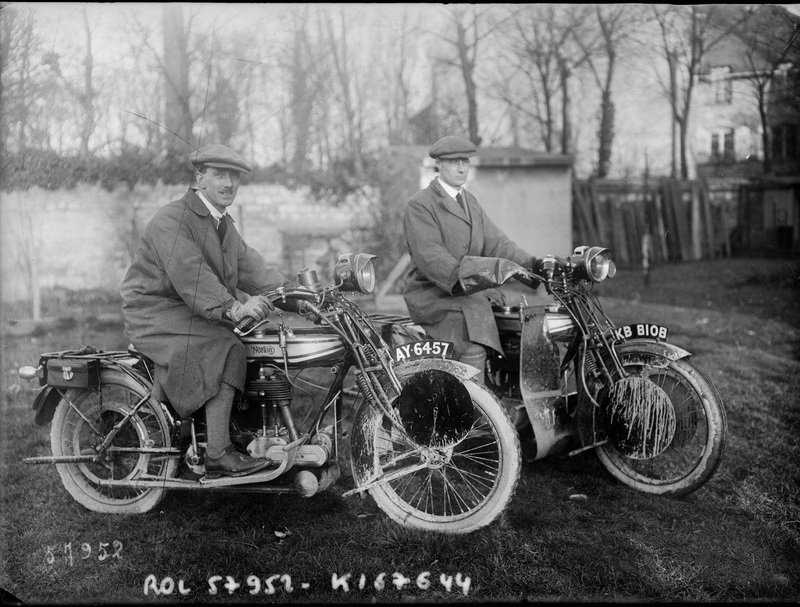 He also was a works Norton rider in the early twenties and both have been on this website before. Interesting to note the plain black handlebars and speedometers and the CAV magneto on Petty's machine.